Hand knotted in India from the finest wool, the Meliha traditional handmade rug will enrich the look and feel of any interior. Its floral design draws on traditional motifs; it embraces a charming color scheme and is surprisingly affordable. 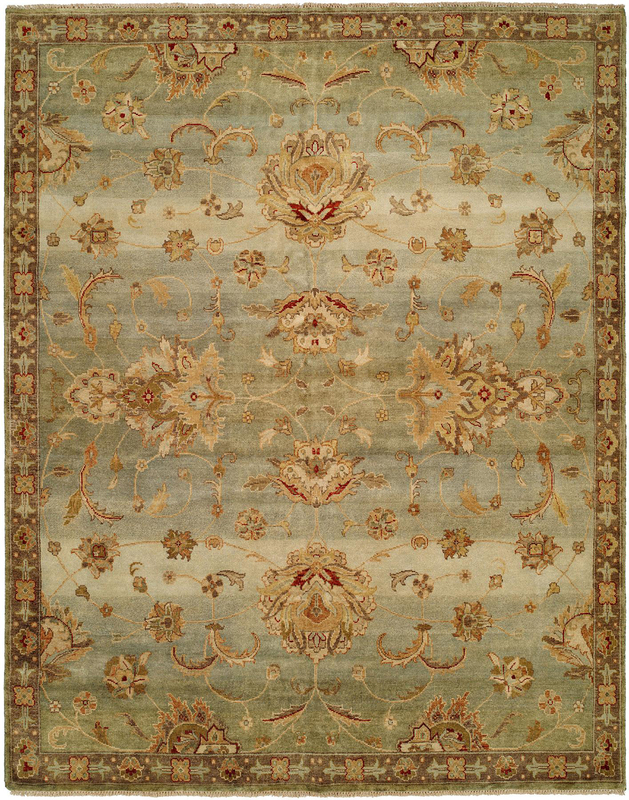 I have selected this rug for a client, to act as an focal point in the bedroom design. It is absolutely stunning! The colors flow beautifully, the texture is smooth and soft and it combines perfectly with the transitional design of the room. The colors are as shown on the photo here, but for some reason I thought they would be a little more washed out, but still it works wonderfully.